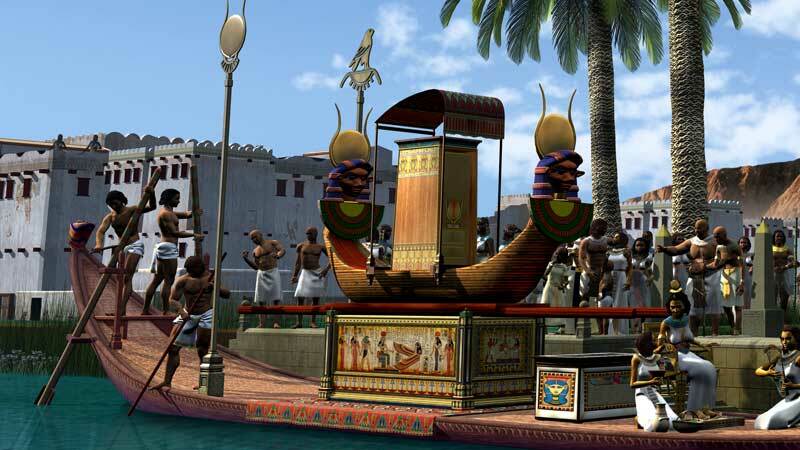 I’ve finally completed my reconstruction of Hathor’s sacred barge. I had to stop working on it for a while because I had become so familiar with its details I was unable to see its faults. When I returned to it after a few months I was able to see it with fresh eyes. The picture depicts a moment in Hathor’s 106 mile journey from Dendara to the temple of Horus at Edfu, which she did each year to visit her husband Horus at the feast of the Divine Union. 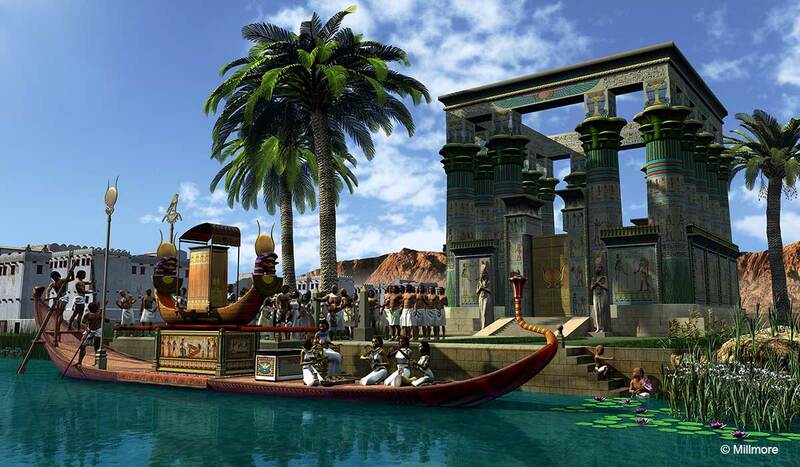 Each night the ceremonial barge, carrying the statues of the goddess, would stop off at towns and villages to rest in a barque station (a sort of ancient motel for the gods). Blessing would have been bestowed on the local community and there would have been a welcoming celebration by the people. The scene takes place in an unnamed town connected to the Nile by a cannel with its own chapel. 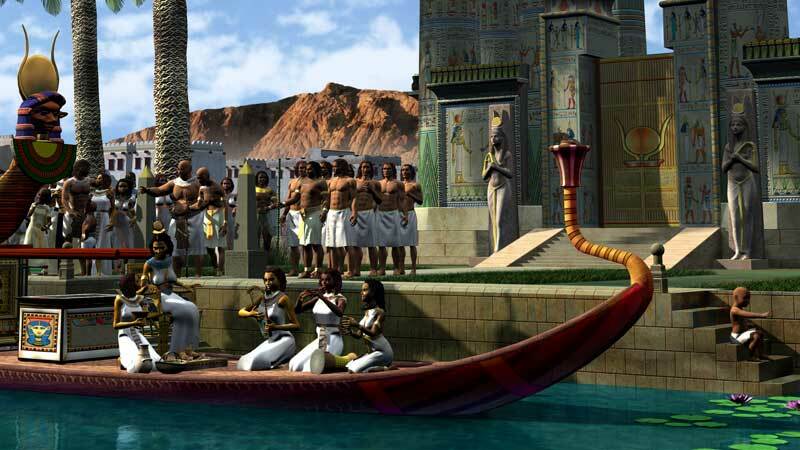 The ceremonial barque, carrying the enclosed statue of the goddess, is aboard a cannel barge, manned by oarsmen. 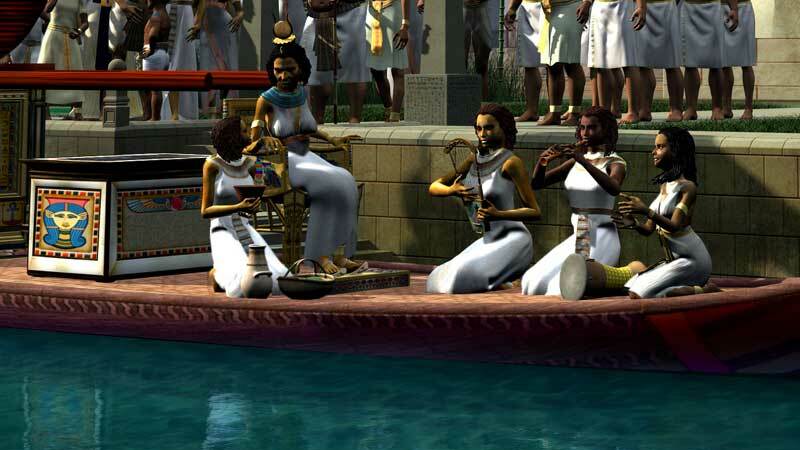 The passengers include the high priestess from the temple of Hathor and her entourage, some of whom are singing and playing musical instruments as the barge comes into dock. On the dock-side are the local officials and their families who are there to greet the goddess. 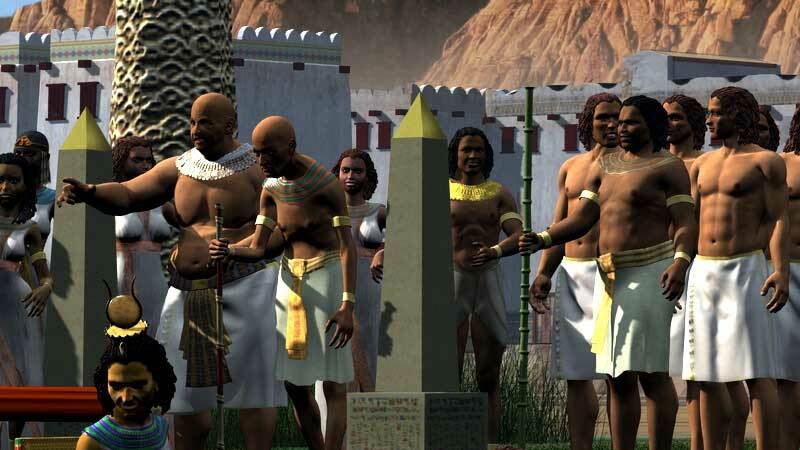 In the foreground between the two obelisks stand an old priest and next to him a large man who is probably the local mayor/headman. Behind them stand a line of young men, they are the litter bearers who will carry the sacred barque from the barge to the barque chapel. 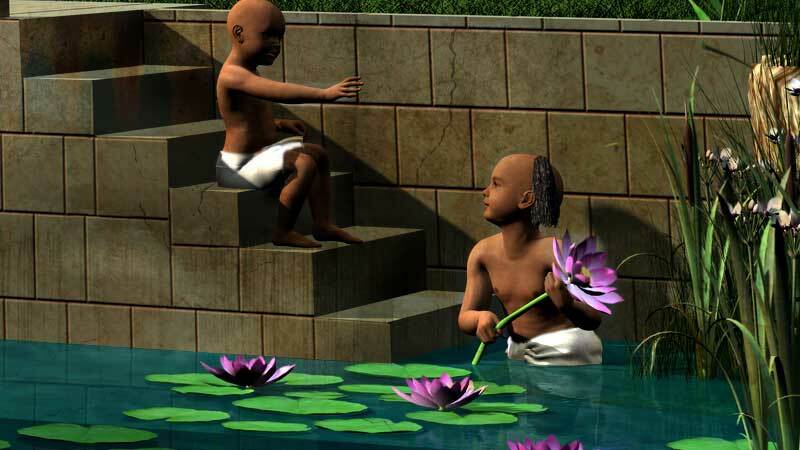 To the right, on the dock steps are two boys – their heads are shaved and they wear the side lock of youth. I don’t think they are interested in the event and are focused on playing in the water. The goddess would stay overnight at this place and bestow blessings on the town then next morning she would be loaded back onto the barge and sail to the next stop. 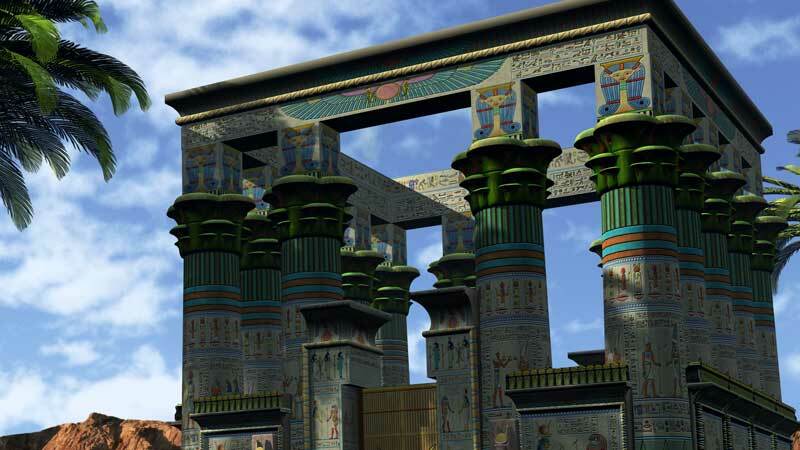 This would be repeated until she arrived at her husband’s temple in Edfu then the festival of the Divine Union of Horus and Hathor would begin. 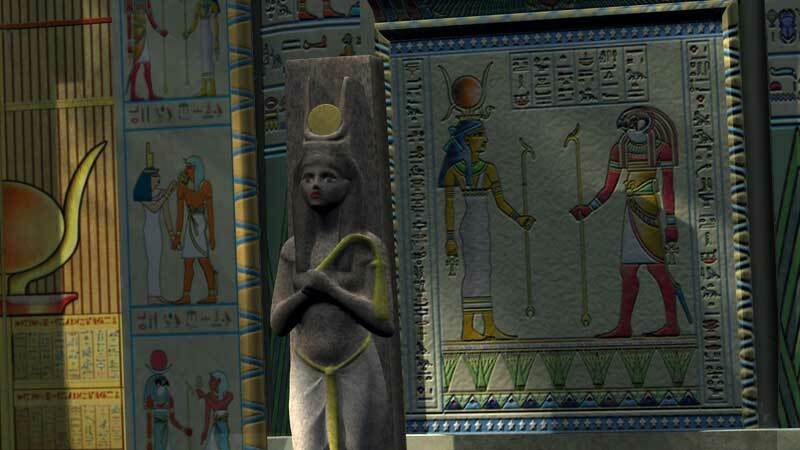 Hathor took a number of forms; she was the divine wet Nurse indicting her role as nurse and wife of Horus. Sometimes she was shown as the sacred cow with the body of a human and head of a cow as the divine mother. Not to be confused with the goddess Nut she is sometime referred to as daughter of the sun. She held such a distinguished position in the Egyptian Pantheon the many Nomes (counties) devoted a cult of worship to her. I just returned from a lengthy stay in Egypt and I can’t tell you what a difference it made to my enjoyment of the many temples and structures because of your reconstructions. Being able to re-imagine them in the blazing colors you show in your illustrations made them come alive as never before. Many thanks. Thanks for the update. It’s a beautiful scene that you outline. 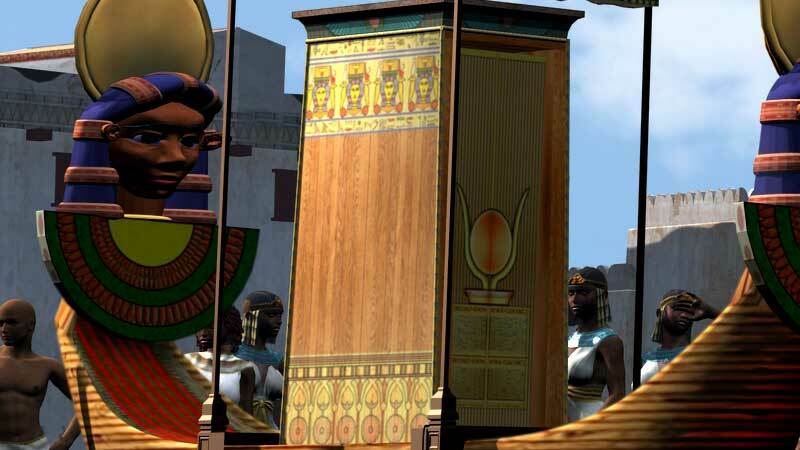 Also, I would like to thank you for portraying the ancient Egyptians as being black people. This makes the whole scene more believable. I was under the impression that a gnome was a state not a County. Absolutely brilliant, such fine detail love it. Such painstaking work involved for each one of your masterpieces, Mark. Every one greatly appreciated, my friend. Another marvelous work by you! I agree with Robert. 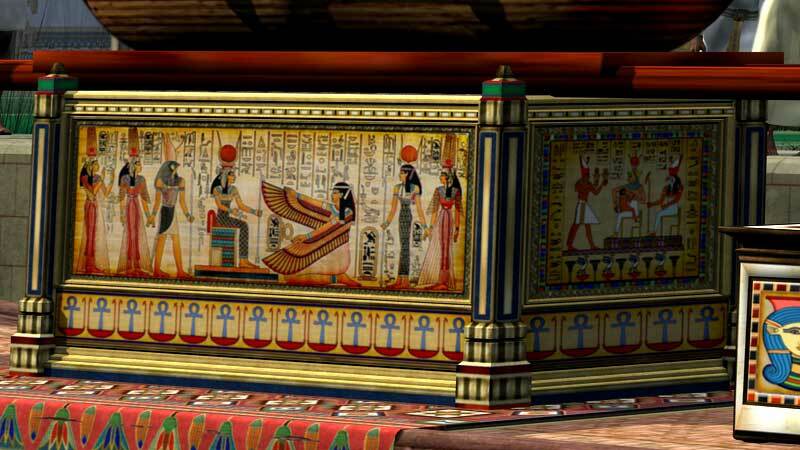 You make going to Egypt so fun because of your painstaking recreations. My husband and I are going back in November. I’ll be looking at my ipad while I’m there. Thanks so much!